A report on climate change and renewable energy by global insurer Allianz stated that China, India, and the US play a huge role in achieving the goals set forth in the Paris Agreement as they combine to produce over half of the world’s CO2 emissions. However, the shift in the US’s energy policy could lead to China and India leaving it behind in achieving climate goals. Meanwhile, India is also rapidly developing its renewable energy capacity, with solar and wind installations exceeding 2016 targets by 43% and 116% respectively. By 2022, India plans to reach 175GW of installed renewables capacity. Both countries have been gradually abandoning coal-based energy, with China cancelling plans to build new coal plants and decommissioning existing ones. India is also looking to stop building coal power plants by 2022. Despite President Donald Trump’s campaign pledge to withdraw from the Paris Agreement causing concern among environmental-minded Americans, individual US states still pledge support to combat climate change. In 2016, over 16GW of solar and wind facilities have been installed, making up 60% of all new energy capacity (27GW). Various US states also have Renewable Portfolio Standards, aided by the drop in costs for renewables. 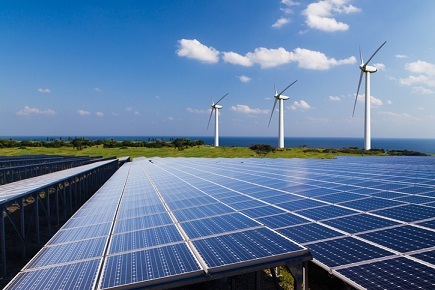 “Rapidly falling technology costs for renewables and strong investment conditions at the state-level continue to make the US attractive for institutional investors like Allianz, despite a constraining outlook on support from the federal level from 2020 onwards,” said Thomas Liesch, senior project manager at Allianz Climate Solutions. “With policy retrenchment beginning to take shape under an ‘America first’ energy blueprint, we expect China and India to outcompete the US - for the second-consecutive year - in providing an effective and reliable green policy environment,” added Ritika Tewari, climate policy analyst at NewClimate Institute. However, if the US falls behind due to the Trump government’s policies, the European Union, especially Germany, plans to step up.